The K.R. Nida DT-MSAT-G2 is designed allow for either the permanent or movable desktop platform. The K.R. Nida GK-MSAT-G2 Go-Kit has been design for rapid deployment and re-deployment of the Network Innovations MSAT G2 Satelite phone. Our Amplified Speaker is designed to be plug and play with the MSAT G2. It does not disconnect during telephone use and provides ample volume in the loudest scenarios. Thousands of these units are currently installed in Fire and Police vehicles as well as race, and chase vehicles in the Baja 1000, Baja 500, and The Mint 400. The K.R. Nida DT-MSAT-G2 is designed to allow for either the permanent or movable desktop platform. This allow for use of the MSAT G2 indoors in environments such as EOC’s. Mobile Command Centers. The DT-MSAT G2 is available in either black or wood grain finishes. The K.R. Nida GK-MSAT-G2 Go-Kit has been designed for rapid deployment and re-deployment of the Network Innovations MSAT G2 Satellite phone. The entire unit is housed in a waterproof Pelican case for ease of transport and setup. Like its bigger brother the TM-MSAT G2 Trans-Mobile Kit has been designed for rapid deployment and re-deployment of the Network Innovations MSAT G2 Satellite phone in a smaller package. 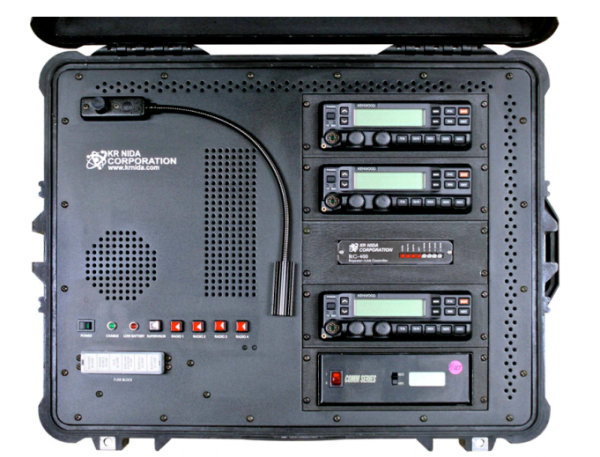 This unit has all the features of the MSAT G2 but in a smaller case. The K.R. Nida WM-MSAT G2 Wall Mount Unit has been designed to allow the use of an MSAT G2 in a secure wall mount enclosure. The lockable enclose allows full use of the MAST G2 while keeping keep components locked in a secure mountable enclosure. 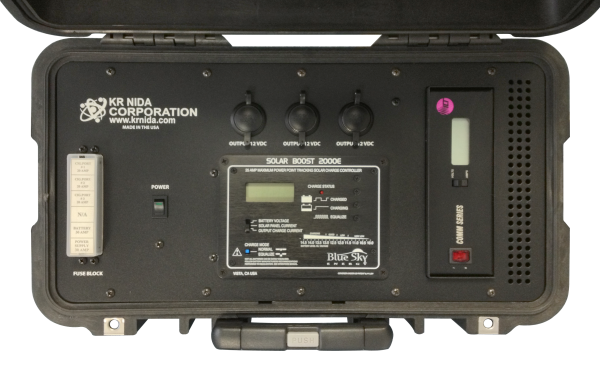 The KR Nida PTR-UPS75-30 has been designed to allow the rapid deployment and re-deployment of an uninterruptable power supply. The Interop-4 was designed for portable repeater and interoperability needs for the field on a rapid deployment basis. The interop-4 houses up to four radios of any radio band. ​The PTR-220 was designed for portable repeater and interoperability needs for the field on a rapid deployment basis. The PTR-220 was designed for portable repeater and interoperability needs for the field on a rapid deployment basis. The PTR-220 houses two radios of any radio band from almost any radio manufacturer that supplies a dash mount radio. Repeat capability is possible with Lo-Band, VHF, and UHF radio bands. Links to 700, 800 & 900 Mhz. systems is possible via the appropriate radio. The Interop-2 was designed for portable repeater and interoperability needs for the field on a rapid deployment basis. The Interop-4 houses up to four radios of any radio band from almost any radio manufacturer that supplies a dash mount radio. Repeat capability is possible with Lo-Band, VHF, and UHF radio bands. Links to 700, 800 & 900 Mhz. systems is possible via the appropriate radio. The Interop-3 was designed for portable repeater and interoperability needsfor the field on a rapid deployment basis. The Interop-3 houses up to three radios of any radio band from almost any radio manufacturer that supplies a dash mount radio. Repeat capability is possible with Lo-Band, VHF, and UHF radio bands. Links to 700, 800 & 900 Mhz. systems is possible via the appropriate radio. The Interop-4 was designed for portable repeater and interoperability needs for the field on a rapid deployment basis. The Interop-4 houses up to four radios of any radio band from almost any radio manufacturer that supplies a dash mount radio. Repeat capability is possible with Lo-Band, VHF, and UHF radio bands. Links to 700, 800 & 900 Mhz. systems is possible via the appropriate radio. 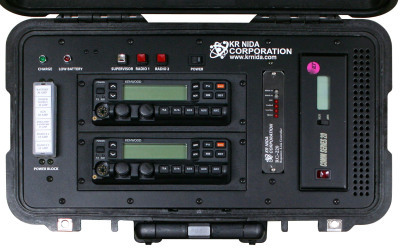 The KR Nida PTR-UPS75-30 has been designed to allow the rapid deployment and re-deployment of an uninterruptable power supply with an integrated 75 amp maintenance free battery, 30 amp metered power supply/battery charger, solar charger regulator, internal circuit protection, fuse block, three 10 amp internal power jacks, one external weather resistant 20 amp power jack and one weather resistant 120VAC power input jack. Charge and low-battery LED circuitry is also included. The TIK-US&R is designed to provide WiFi coverage when LMR doesn't cover it all. Dual carrier options and Band 14 ready. 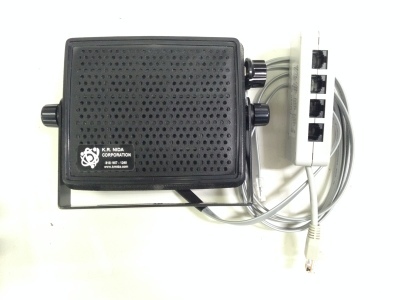 This USAR wifi kit is available in many different configurations. Lightweight fabric cases to rugged roto-molded boxes with room for all your gear. Housed in a Pelican 1430, the K.R. 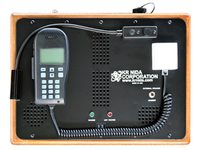 Nida Lunchbox kit is a portable box that contains a single mobile radio. It gives you the power of a mobile in a portable package. Internal power supply or battery powered. K.R. 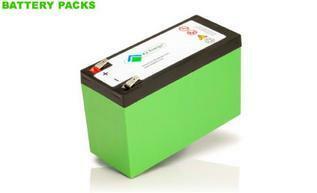 Nida products are offered with several different battery options SLA, AGM and our new K2 Li-Iron battery packs. These new Li-Iron batteries are lighter weight with a longer operating time and life cycle. Check out our new "Lunch Box" style portable full-sized Marine radio.